How Internet of Things (IoT) Will Impact in Human Resources? How Internet of Things (IoT) Will Impact HR? Home » How Internet of Things (IoT) Will Impact HR? 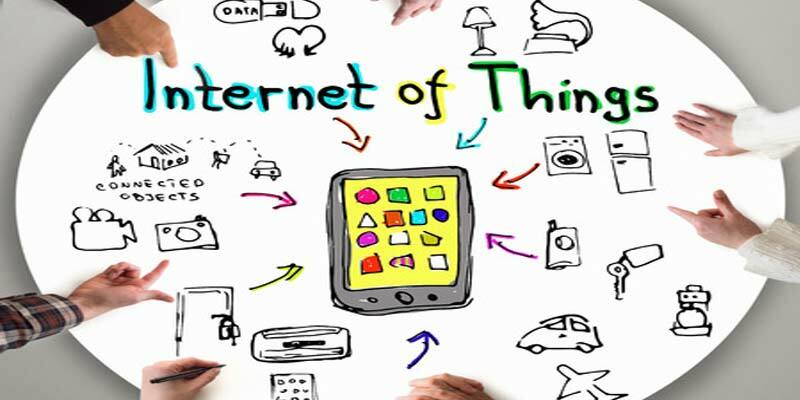 » Blog » How Internet of Things (IoT) Will Impact HR? As defined by Wikipedia, the Internet of Things (IoT) is the network of physical devices, vehicles, home appliances and other items embedded with electronics, software, sensors, actuators, and connectivity which enables these objects to connect and exchange data. Each thing is uniquely identifiable through its embedded computing system and can inter-operate within the existing Internet infrastructure. Hence, it’s not only digitization, but a constantly growing “network of wearable and mobile devices” that’s changing our society and transforming the way companies conduct business. As a tech-savvy human, many of us use gadgets and apps to track number of steps we walk every day, hours we sleep, calories we burn during exercise sessions, and a lot more. Keeping a regular check on our health helps in optimizing our activities and enables us to perform better. These advanced applications and wearable devices have made life easy. Similarly, employers are using the same technology to make workforce more efficient and their work more productive & effective. At workplace, employees are typically caught up with emails, meetings, decision making, meeting performance standards and what not. All these activities hardly leave us with any time to track productivity. The need to monitor, evaluate and measure one’s performance have shifted the entire focus to the wearable computing devices, fitness trackers and mobile communication tools. The quantifiable data can be taken from these devices which are powered by an architecture of technology referred to as the Internet of Things (IoT). With unprecedented data from workers’ wearables, HR departments can possibly create positive and efficient work culture by assessing employee productivity, people related trends, communication patterns, and how teams should collaborate for better outcomes. What does the stats say: Consumers bought more than 45 million wearable devices and fitness trackers in 2015, and analysts expect demand to grow by more than 45 percent annually through 2019, becoming one of the fastest-growing technology markets. HR departments should devise strategies to absorb the impact of Internet of Things (IoT) on multiple aspects of Human Resources. 1. It is important for HR to understand the significance of people analytics that comes from IoT. There’s no doubt that Internet of Things would generate an unprecedented amount of data associated with people and their related processes. The data is extensively useful for decision and strategy makers. 2. IoT improves employee experience. Employees, managers and HR carrying Internet-enabled mobile devices are connected with each other round-the-clock. For instance, they can instantly book meeting rooms, communicate with any team member, exchange ideas, and do a lot more. In this way, IoT optimizes the effectiveness of employees’ workday and offers better work experience. 3. Flexible work environment for the coming generations would be a boon. Trust me, IoT technology would be a big contributor. IoT would enable HR to create flex workspace, with the flexibility to manage work through mobile and wearable devices. 4. Employee wellness can be monitored and measured on ongoing basis through the same technology. If corrective steps are taken in a timely manner to improve employee health, the purpose of introducing technology would succeed. 5. Just like HR technology has simplified Continuous Performance Management, IoT has also impacted it positively. The enhanced connectivity with IoT devices helps in establishing a digital culture where managers and employees can connect frequently, share opinions on each other’s performance, improve skills and help each other become better. 6. Trackers make it easy to monitor mobile workforce and track their activities without stressing too much. Unfortunately, because so many devices can connect in ways never possible before, the IoT is also susceptible to malfunction and hacking. 70% proportion of most commonly used Internet of Things devices contain serious vulnerabilities. Unnecessary exposure to user data and theft are the result to security risks. Due to lack of standards and best practices in designing IoT devices, products often operate in disruptive ways. This leads to a difficulty in networking, configuring and managing considerable number of IoT devices. Privacy issues have become common in consumer devices, such as tracking devices for phones, smart TVs, etc. Voice recognition or visuals can be integrated with other devices to keep a watch on the user activities. Listening to personal conversations secretly and keeping an eye on the user’s movements is the biggest danger. To realize the opportunities of the IoT, a whitepaper by the ISOC (Internet Society) suggests that well-thought strategies are needed to respect and protect users’ privacy choices across a broad spectrum of services, while fostering innovation in modern technologies. With Internet of Things, we already have another wave of technology. It is surely going to have a significant impact on the way people work and human resources function. Just like an athlete has a chance to track and optimize performance with the help of wearables or mobile devices, employees can use IoT devices to their advantage and become more efficient in their workplaces too.